But then I get an email from someone saying: “Hey Doc, did you see so and so? What’s up with that?” and then I realize that it’s news from some people’s point of view. The two “not news” items du jour are the WorldNetDaily article on Kerchner v. Obama suggesting that the court is friendly to Kerchner’s case or thinks that is important. Nothing the court says implies this. And WND suggested that the court was soliciting letters from concerned citizens, due in by today. They aren’t. 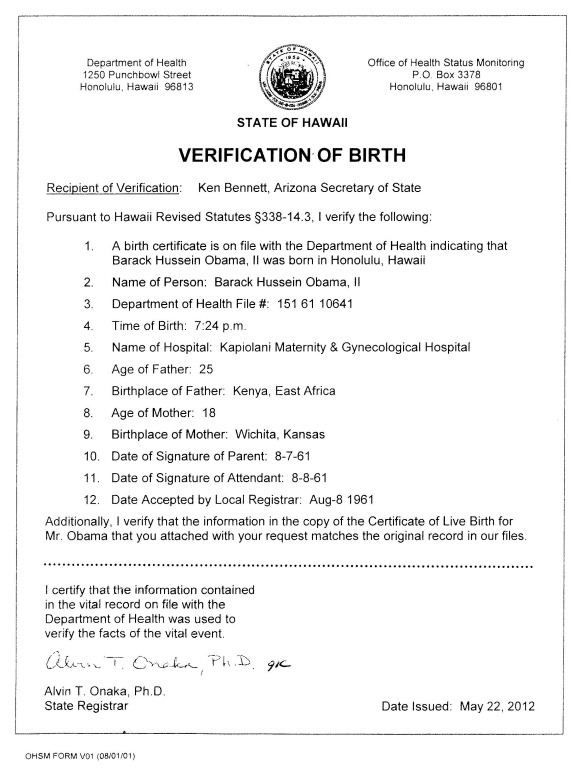 The other is the auctioning off on eBay of a purported Kenyan Birth Certificate for Barack Obama, now listed as a “dissertation” after eBay pulled previous listings. Scam? or publicity stunt? One or the other, but not news. Update: eBay deleted the dissertation too! But the bidding is now up to $15,100 and the seller is colmado_naranja, by my rudimentary spanish, “ample orange”. Yum! It tells you a lot that one anonymous hoaxter can drive so many into a tizzy. Free Republic has some half dozen threads going over the “Kenyan Birth Certificate” auction with around a thousand comments. The one part of the hoaxter’s narrative that rings true is “Kenyans are amazed by the gullibility of Americans”. One thing that will be real news is when Dr. C gets a response from the feds as to when Stanley Ann first got a passport. What’s happening with that? Maybe the request fell behind someone’s desk? Dr. C, is your experience in talking to friends and family much different from mine? I find they classify everything on this subject solidly in the “not news” category. And I do see their point. How you tell when politician lie? Ebay does not operate in Nigeria, so its none of us !!!! But its definitely something one has thot of but as a Christian & also a lawyer i cant be involved in something illegal or unethical !! Sometime i wish God will allow us some break the laws so we can make more money ! Most consider it not news. I know a couple of folks who are “into” the issue. Remember, Conservatives abhor ambiguity, and so they are more likely to think the resolution of any theoretical ambiguity (i.e. “definition of natural born citizen”) is more important than the average person. Bob, although I filed my FOIA back in January, the Department of State only started processing it April 2 and assigned an official case number. I have requested a status update. The bidding this morning over one million dollars. 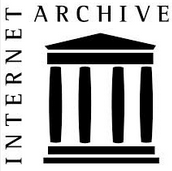 If the Internet had been around during PT Barnum’s time he would be richer than Bill Gates. He’s refering to an internet scam called the Nigerian Scam, because of the way it’s usually set up. The scam is you recieve an email that someone is a Nigerian Prince, or some high up official in Nigeria, and needs help smuggling money out of the country. If you allow him to use your bank account to do it, he’ll allow you to keep something like 10% of the money, which will be something like $10 million. Or, they need a little money, to bribe some officials to get the ball rolling, and they’ll give you $10 million, if you give them $10,000, or something along those lines. You respond, and through a series of contacts, they either get your bank account number, or you send them the money. Your money is gone. It’s a social engineering scam, made on the greed and gullibility of people. It looks like eBay has pulled the “disseration” listing. It was there last night, but now is nowhere to be found. The amazing part of the whole birther argument is when the use World Net Daily as a source for anything. This “news” orginazation has be caught in lies on numerous occasions. This misinformation they provide on the Kerchner v Obama lawsuit is just par for the course. As for the obvious fake Kenyan BC that is on Ebay, for someone to actually believe that they have to be either stupid or so blinded by hate of Obama that they are not using any common sense. We should get in the business of running birther sites, it seems like Orly, Berg, and WND can make a lot of money off the ignorant out there. 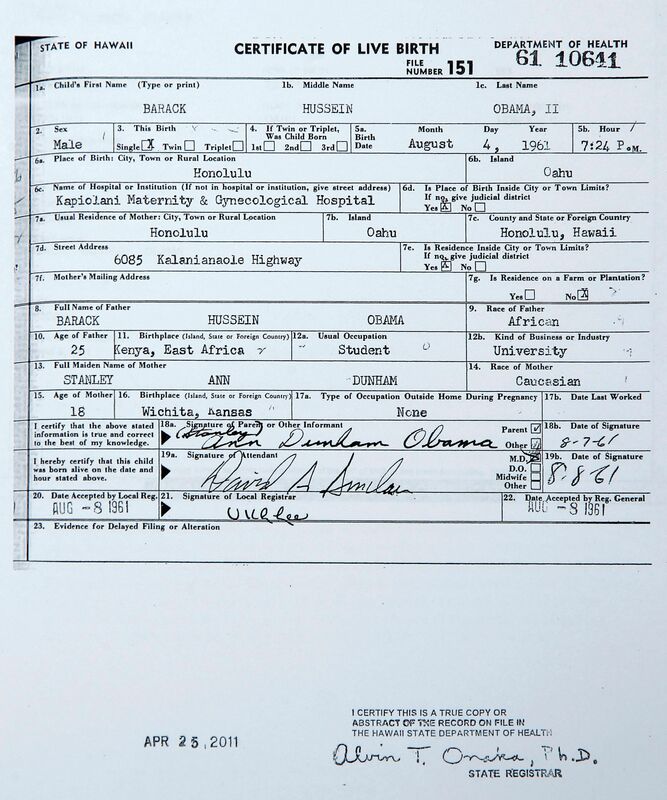 As a consolation prize, you can buy this “Where’s the Birth Certificate? T-shirt“. There is an auction for Obama’s Kenyan bc on eBay, it has 7 bids now for $100,100.00!! The guy didn’t even have a picture of the birth certificate. 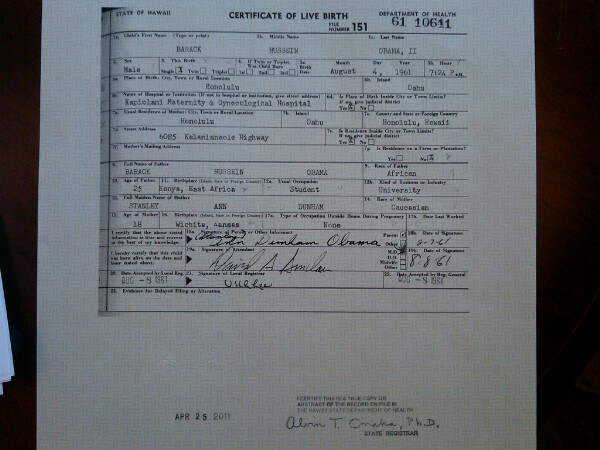 Are these birthers idiots or what?! The auction is back down. There have been a total of five auctions so its hard to keep track. “I want to thank all of the eBay community for their support in my last five auctions. Thank you for taking the time to write to me (I still haven’t had time to answer everyone) and for your bids. I also want to thank everyone at WorldNetDaily for their continued coverage of my five previous auctions. I want to thank freerepublic.com, as well. I want to thank everyone that forwarded news of my auctions to others, digitally or by spoken word. I want to thank all the attorneys as well as paralegals (Denise) that have written to me. Lastly I would like to thank all military personnel that have written to me with their support, opinions and offers as hired guns. There won’t be anymore eBay auctions for documents, stories or dissertations. So it was a publicity stunt. Apparently the BC has been turned over to WND. In the “Not News” department: Check out the list of who got “served” by (that is, received future trash from) the Super American Grand Jury. here’s pics of Orly’s latest meeting held today, what a fantastic turn out,what a growing movement, you will love it! 2. Attendance by rough chair count – less than 50. I wonder if the MO reps thought, ‘Oh crap’, when they realized how small a group was attracted. 3. Jefferson City Mo pop ~40,000. In the geographical center of Missouri, otherwise known as BFE. 4. I wonder if Orly thought the capital of Missouri would be a big city? A caption on the video says there were 40 there. Fired Up! Missouri really covered that meeting. 1/2 of those 40 were paid chair sitters that previously were holding signs “Will work for food” out side the hotel! this was just a joke, but when Orly held a rally ouside the Supreme Court 12 people showed up, reporters found that 5 didn’t know why they were there. Publicity stunt in the sense that he’s now auctioning off signed photos of himself for thousands of dollars, sure. That’s what Rep Davis likes, people motivated by hunger! 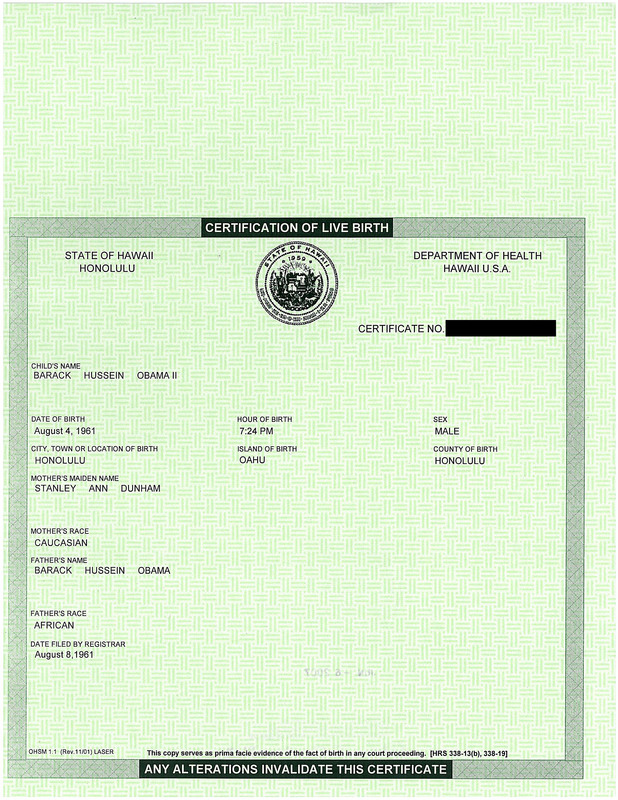 Some detective work on the birth-certificate seller. Short version: Looks to be someone who once scammed a family needing a kidney transplant. Should fit right in with WND. Scroll down to comments. Check the picture on the CBS news link. Same guy as on ebay, even the hat. This country is full of strange, opportunistic people. Kimba – and people who are treasonous. Longshot….But could we impeach him…send him to jail? Then install Ron Paul in a take over & just send half the Senate/Congress to prison, disband NATO, tear apart the Banks & shove Cheney & the Clintons & all of them in a 9000 square foot prison cell? That’s quite interesting considering on July 6, Swennson reported on his site that a number was being issued for the presentment and that meant “we will be heard.” Since this order is dated July 2, I think Swensson knew his presentment was rejected and is lying to his followers. Oh, he’s already deleted it, his “July 6 marching orders” and replaced it with “July 7 marching orders” saying ” this is what we expected.” Uh huh. Well, July 3 was a holiday, so the court was closed. I don’t have access to PACER, but I suspect the order was entered onto the docket on July 6. “this is what we expected.” Uh huh. Phil at tRSoL is saying this is a “postive learning experience” because now we know. Phil has an odd overreliance on certainty: one need not commit a futile act when a quick reading the relevant statues, rules, and case law already has amply demonstrated that these “grand juries” have no force of law behind them. So now they’re going to march around the Capitol and hand out their “papers” to every Congress-critter. Ok, every citizen has the right to do that, but since they won’t be able to claim they are “indictments” and they are “indicting” people by the “here’s some papers, tag, you’re indicted” method, how much longer can the citizens grand jury thingie hold together? I think their followers are going to realize they’d be better off writing or calling their own reps in DC. Do you understand what this Judge ruled? He has just told you that the Constitution, as we know it, is DEAD. What are you going to do about it??????? Now, “this judge” was appointed to the bench by Reagan, after having served as a division chief in D.C.’s U.S. Attorney’s Office, and prior to that, in the JAG corps. And he’s a Vietnam vetern. And former SCOTUS Chief Justice Rehnquist had appointed him to serve as the presiding judge for the U.S. Foreign Intelligence Surveillance Court. So: Clearly an unpatriotic O-bot thug.